A gifted and chameleonic drummer, Brazilian native Mauricio de Souza has, for more than a decade, proven to be a sought-after percussion force in the states since relocating to New Jersey in 2004. An excellent sideman and collaborator, Mauricio shines as a bandleader as he heads up a unique set of solo projects. 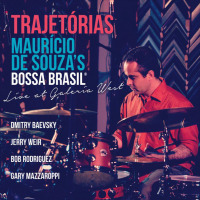 Born in Brasília, Brazil, Maurício de Souza is a jazz drummer who easily performs in both traditional jazz and Brazilian jazz styles. His good taste and finesse have allowed him to play in numerous settings with various accomplished musicians. De Souza was a pupil of world renowned jazz drummer Joe Morello. He has also studied with Ney Rosauro and distinguished all-round percussion teacher Glenn Weber. Aside from the inspiration of Mr. Morello, other influential performers include Buddy Rich, Airto Moreira, Dave Weckl, Roy Haynes, and Bill Stewart. ​Coming from a musical family, de Souza began playing the drums at age eleven. Within a few months, he began performing with numerous local rock cover bands in his hometown. Always interested in evolving as a musician, he joined the youth percussion group at Brasília's Teatro Nacional (National Theater, home of Brasília's Symphony Orchestra). De Souza's constant interest in elaborate music eventually brought him to Jazz. While a junior in high school, he spent his summer vacation to study with Joe Morello in New Jersey. Upon graduating from high school, de Souza returned to the US to continue his studies with Mr. Morello and attend college. Since settling in Northern New Jersey in 2004, de Souza has been very active in the NY/NJ metropolitan area. He has performed at some of the finest jazz venues and festivals (mostly as a band leader) with his two groups: Bossa Brasil® (Brazilian Jazz) and Maurício de Souza Group (Straight Ahead Jazz). In New York, de Souza has been heard at Blue Note (with his group, Bossa Brasil®), performs monthly at Garage Jazz Club, and has appeared at Smoke Jazz Club, Smalls Jazz Club, Lenox Lounge, Saint Peter's Church, Kitano Hotel, Bar Next Door, Whitney Museum, New York Polish Consulate, Cutting Room, Via Brasil, SOB's, New York Athletic Club, and Bubby's (Brooklyn) among many others. In New Jersey, de Souza has performed at NJPAC's Sounds of the City, Trumpets Jazz Club (Montclair), Priory (Newark), Cornerstone (Metuchen), Salt Creek Grille (Princeton), Delta’s (New Brunswick), Cecil’s Jazz Club (West Orange), Tomaso's Jazz Room (Edgewater), Cross Roads (Garwood), Chico's House of Jazz (Asbury Park), Mohawk House (Sparta), Giamano's (Bradley Beach), Moonstruck (Asbury Park), and Museum of Early Trades and Crafts (Madison) to name a few.In Philadelphia, he has been heard at Chris’s and Ortlieb’s Jazz clubs. De Souza has also performed at Cubata in Waterbury, Connecticut and Lily Pad in Massachusetts. Festival appearances include: 2016 Festival International de Jazz de Québec, 2012/2013/2015 Westfield's Sweet Sounds Downtown Jazz Festival, 2012 Morristown's Music Without Borders, 2011 NJPAC's Sounds of the City, 2011 Morristown's First Night, 2011 Morristown Festival, 2010/2011 Keyport International Festival, 2011/2012/2013 EAP Hispanic Heritage Month Lunchtime Series, 2008/2009 Red Bank Jazz and Blues Festival, 2006/2007/2008/2009/2010 Church St. Music Festivals (Montclair, NJ), 2009/2010 Journal Square Summer Series (Jersey City), 2009 Long Branch (NJ) Jazz and Blues Festival, 2007/2008 Artes Latinas Festival (Westampton, NJ), 2005 Burlington County (NJ) Music Festival, the 2005 Chester (NJ) Music Festival, and the 2004 Campbell Music Festival in Camden, NJ. Internationally, de Souza has performed in Canada and in Brasília, Brazil. In Canada, he performed with both Bossa Brasil® and Maurício de Souza group at Bar Ste-Angèle and at Aviatic Club as part of the 2016 Festival International de Jazz de Québec. In Brasília, he performed with his quartet/quintet at Gate's Pub, Velvet Pub, Restaurante Feitiço Mineiro, Schlob Bar e Restaurante, C'Est Si Bon, and Jazz Cafe. In his numerous performances as a guest percussionist with OSTNCS (Orquestra Sinfônica do Teatro Nacional Cláudio Santoro de Brasília - Brazil), de Souza performed in the Brazilian premiere of Puccini's opera La Boheme and in the world premiere and recording of Cláudio Santoro's 9th and 11th Symphonies. De Souza has also performed as a percussionist with the New York Symphonic Arts Ensemble, Bergen Philharmonic and the Metropolitan Orchestra in New Jersey. 2015 brought the release of de Souza's third commercial album, Trajetórias. 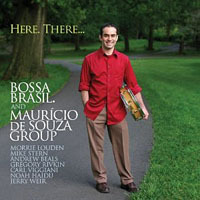 It features Bossa Brasil® in a live concert at Galeria West in Westfield, NJ. The repertoire highlights de Souza's arrangements of compositions by Tom Jobim, Milton Nascimento, Hermeto Pascoal, and Pat Metheny. The group is a quartet/quintet with Dmitry Baevsky on alto sax, Jerry Weir on vibraphone, Bob Rodriguez on keyboard, Gary Mazzaroppi on acoustic bass, and de Souza on drums. Trajetórias is currently being played in radio stations in the US, Canada, and Brazil. For the CD release at Saint Peter's Church in New York, de Souza was featured in the January, 2017 issue of Hot House Jazz Magazine. The album has also been reviewed by Scott Yanow (Jazz Journalist/Historian/Author). 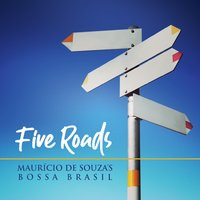 In 2013, de Souza released his second commercial album, Different Directions (Pulsa Music), featuring both Maurício de Souza Group and Bossa Brasil®. The amazing musicians on the album are: Mike Stern (guitar), Marc Copland (piano), John Lee (electric bass), Gary Mazzaroppi (acoustic bass), Greg Gisbert (trumpet/flugelhorn), Sharel Cassity (alto, soprano, tenor saxes, flute), Miho Nobuzane (piano), Ben Winkelman (piano), and Jerry Weir (vibes). With the release of Different Directions, de Souza continued to reach newer audiences and listeners. The official release performance was at Blue Note in New York. 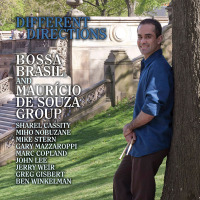 In January 2014, de Souza was featured on the cover of Hot House Jazz Magazine and Different Directions was reviewed in Winning Spins (review by George Kanzler). The album was also reviewed and featured on All About Jazz, The New York City Jazz Record, Jazz Week, Music Choice, Sirius XM, WBGO, and Pandora. De Souza did a one hour live radio interview with Maria Vilhena for her show on Rádio Nacional FM Brasília. Selected tracks from Different Directions were also featured on the show, Jazz Brasil and are currently being played on the station's weekly program. Different Directions is also featured in numerous radio stations in the US, Canada, Venezuela, Brasil, and Canary Islands. In 2010, de Souza released his first commercial record entitled, Here. There... (Pulsa Music). The album features both Maurício de Souza Group and Bossa Brasil® with very special guest Mike Stern (guitar). The amazing musicians on the album are: Andrew Beals (alto sax), Gregory Rivkin (trumpet), Carl Viggiani and Noah Haidu (piano), Jerry Weir (vibes), and Morrie Louden (bass). With the release of Here. There..., de Souza reached a much wider audience. The album reached #40 of the top 50 new releases in the Jazz Week chart for national radio airplay, it ranked #17 of the top 30 jazz albums by Music Choice, and it was elected #1 Jazz Album by WWPV 88.7 FM (Burlington, VT). Here. There... was also elected album of the week by Solar Latin Club (Colombia). It was featured countless times on WBGO 88.3 FM (#1 Jazz radio station in the US). Pandora internet radio and Sirius XM satellite radio have added Here. There... to their music libraries. The album has been reviewed in Jazz Times Magazine, All About Jazz (online), All About Jazz NY (newspaper), Jazz Inside NY Magazine, JazzChicago.net, Sea of Tranquility (online), and The Midwest Record among others. De Souza was featured in a one hour interview with Awilda Rivera for WBGO. He also recorded a radio interview at the BBC Studio in New York with Ken Bader (NPR, PRI, BBC) for his show, “The World”. Bossa Brasil® performs the most sophisticated Brazilian music. Styles of music include Bossa Nova, Samba, Baião, Maracatú, and Chorinho. The repertoire features arrangements of compositions by Brazil’s most outstanding artists such as: Tom Jobim, Milton Nascimento, Edu Lobo, Marcos Valle, Roberto Menescal, Ary Barroso, Egberto Gismonti, Hermeto Pascoal, Baden Powell, Luiz Eça, and Pixinguinha. Maurício de Souza Group performs a variety of jazz standards from Miles to Metheny. The group concentrates on performing the most refined tunes from numerous jazz eras. The wide range of arrangements include tunes in 3/4, 5/4, and 7/4 times as well as modal tunes. Esteemed performers Sharel Cassity, Adrian Cunningham, Anton Denner, Dmitry Baevsky (sax), Ben Winkelman, Bob Rodriguez, Miho Nobuzane (piano), Alan Chaubert (trumpet AND piano), Jerry Weir (vibes), Gary Mazzaroppi, Joonsam Lee, and Charlie Dougherty (bass), contribute highly to the advanced melodic material, original sound, and intense drive of the groups. DW and Pearl drums and hardware; Sabian, Zildjian, and Paiste Cymbals; Pro-Mark and Regal Tip sticks. The alto-vibes frontline along with the fresh treatments of the repertoire gives Bossa Brasil its own individual group sound. While much of the music is mellow and melodic, it has its heated moments with plenty of subtle surprises heard along the way. - Scott Yanow, Jazz Journalist/Historian/Author. On Trajetórias. Souza's briskly swinging touch and interactive instincts fuel this date (Here. There...), which includes outstanding solo contributions from pianist Carl Viggiani (Powell's Consolação), flugelhornist Gregory Rivkin (I Can't Get Started) and vibraphonist Jerry Weir (Cedar Walton's Firm Roots). Mike Stern guests on Nascimento's lyrical Vera Cruz and burns on Joe Henderson's Inner Urge. —Bill Milkowski, Jazz Times Magazine. Here. There... is a solid mix of Brazilian music and jazz standards. Woodrow Wilkins, All About Jazz. De Souza belongs at a drum kit. —Zan Stewart, Star Ledger. De Souza is a talented drummer and the driving engine on this album (Here. There...), able to play in many styles with a delicate touch on the snare contrasting the heavy bottom of his bass drum. —Marcia Hillman, All About Jazz New York (currently The New York City Jazz Record). Here. There... has been well recieved critically and commercially ... We dig it big time and we're sure you will, too. —Steven Froias, Tri City News. With an alternately authoritative and feathery touch on the drums, de Souza has a bright future in jazz. —Richard Skelly, U.S. 1. Here. There...: ... Brazil grooves with a lounge and jazz twist that make even the chestnuts sound fresh. A solid, fully packed disc of upbeat happy music that will do nothing less than drive away the blues. ... Right on the money throughout, it is sophisticated and savvy with just the right amount of funk and winks to keep it right in your pocket. Every adult in need of a sonic fix should put this on their portable player pronto. Well done. —Chris Spector, Midwest Record. 11 years of private studies with Joe Morello. Bachelor's degree in Performance (jazz and classical). Teaching Certification (K-12). Available for private lessons. Please contact me for availability and rates: 973-651- 7281, modesouza2@gmail.com. A basic clinic would include: explanation and discussion of basic drum techniques; basic rock, jazz, and Brazilian jazz rhythms; how to apply these techniques in a musical way in a group setting. More involved clinics are certainly possible. Open to specific requests. Available for clinics. Please contact me for availability and rates: 973-651-7281, modesouza2@gmail.com. All About Jazz musician pages are maintained by musicians, publicists and trusted members like you. Interested? Tell us why you would like to improve the Mauricio de Souza musician page.